Manchester’s Best Hog Roast Company! Whether you’re planning an indoor or outdoor event and if it’s for a handful of people or dozens of guests, Hog Roast Manchester’s event organizers can offer great quality food to every guest. 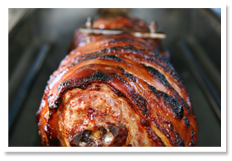 We specialise in providing everything that’s required to serve roast hog to your guests. To ensure great tasting food, our professional chefs will prepare all of your food on site using nothing but the best local produce. We provide over ten years experience in offering top quality customer service, safe and efficient hog roasting equipment as well as great tasting produce. We have catered for weddings and private parties as well as functions and various other events and parties. If you want to offer something a little different to the usual platters and spreads, offer your guests a hog roast instead. Planning an event or organizing a function means that you need to plan everything down to the finest detail. You need to ensure that you book the best possible venue, send out invitations, and arrange tables, chairs, and other equipment. You also need to offer refreshments that all of your guests will appreciate and a hog roast is bound to prove a hit with guests and organizers alike. We can provide you with everything you need from the hog roast machine, gas to cook with as well as the hog itself. Our trained chefs will prepare and cook everything at the venue so that you can be sure it is freshly cooked and that your guests enjoy the day. We can provide a tailored quote for your needs, taking into account the equipment you require and any other factors; prices typically start from just £250 and we always ensure you enjoy great value. With a hog roast, party planners and event organizers can offer their guests access to great tasting food cooked on the spot providing a veritable feast for all. We provide all of the equipment that’s needed so that our fully trained chefs don’t need to ask for anything from you, the host. Contact us today to plan your ideal party catering choice.